R.G. 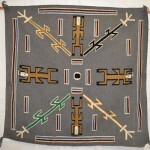 Munn in Cloudcroft, N.M., is auctioning off many beautiful and unique pieces of American Indian art. The auction will be held Jan. 29 and features work by many diverse American Indian tribes, with Navajo, Apache and Hopi items representing a large proportion of the inventory. 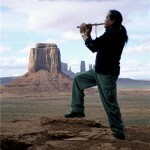 Interesting Pueblo, Zuni and Papago art is also included. For buyers unable to attend the auction in person, iCollector.com allows them to place absentee bids from their home. The largest American Indian tribe in the U.S., the Navajo people produce some of the most highly valued artwork in the field. One of the most anticipated Navajo products in this auction is a hand-woven textile estimated to be from the 1950s or '60s (lot #215). This large rug measures 95.5 inches by 74 inches and features a geometric floral border around a central diamond pattern. 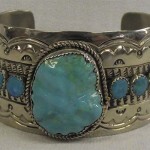 Another Navajo product of note is a sterling and turquoise bracelet from the 1970s (lot #149). This beautiful piece of jewelry features large turquoise stones cut into animal shapes surrounded by smaller circular stones set on a wide sterling silver band. This auction will also include some very exciting woven Apache baskets. These woven trays are highly sought after by collectors and represent the most premium American Indian baskets available. One basket is a woven tray featuring a whirlwind stair pattern (lot #221). 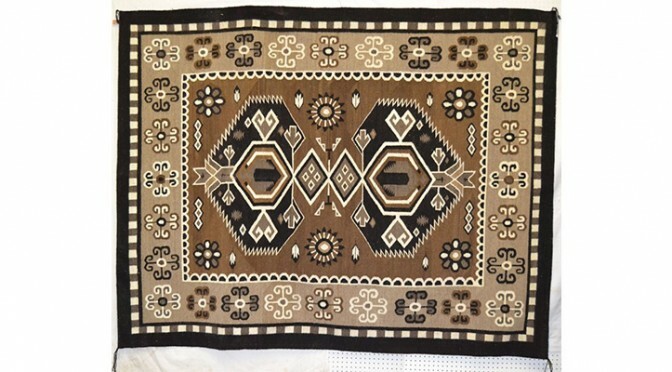 Also included is a tray with an intricate geometric pattern (lot #71) along with one woven with human and animal figures on the sides (lot #152). All the Apache baskets featured here come from the "Golden Age" of Apache weaving during the beginning of the 20th century. The Hopi tribe is located in northeastern Arizona and maintains a deep and reverent relationship with the earth through a culture of farming and a spiritual connection with Maasaw, the Hopi guardian of the earth. This spirituality is reflected in the tribe's handcrafted figurines, called kachinas, a nice selection of which can be found at this auction. Of particular interest are a dynamic ram kachina in a dancing pose (lot #61) and a hand-painted mud kachina estimated to be from the 1960s or '70s (lot #33). 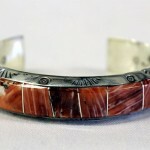 Products from other American Indian tribes are also included among these lots. To see a full listing of all the available items go to iCollector.com.